We are pleased to inform you that in the Salzburg World Contest in 2012 our kennel and one of the best dogs TAMTA CUSTODI NOS ranked 3rd. The success of our kennel abroad was repeated in 2013, the pan-European contest held in Geneva, where our dog FORZA DI RAZZA GOTHAN ranked 2nd. Our kennel is called FORZA DI RAZZA (power of the breed) and is recognized and registered by the Kennel Club of Greece and the FCI (Federation Cynologique Internationale). The registration number is 43/10. We cooperate with the best and most recognized breeders worldwide (world and European champions) and we try to maintain the best standards and characteristics of CANE CORSO character, temperament and morphology. We deal with CANE CORSO breeding several years and we make two or three selected births either in Greece or abroad. We look after our puppies and we beware of not developing any genetic dysplasia. We deliver our puppies to the prospective buyers being vaccinated, dewormed with micro-chip. Furthermore we provide the pedigree of each puppy (registered to the Kennel Club of Greece ) . 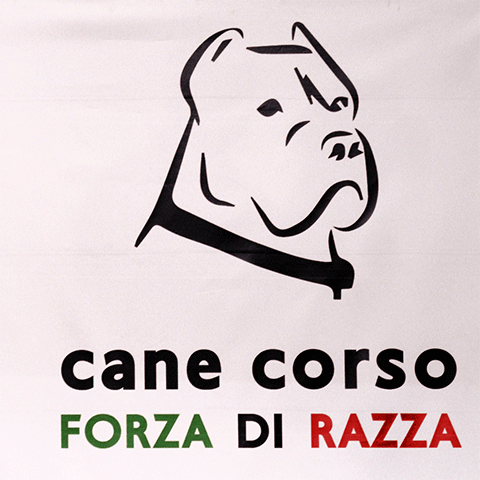 Note : The owner of the kennel FORZA DI RAZZA, is Mr. Tseronis Constantine . If anyone presents himself as a partner or associate of our kennel for selling cane corso dog, please contact Mr. Tseronis. For further information, for English, contact to mobile: +30 693 2958 860. Our Kennel is member of FCI.